We believe access to fast, secure and reliable internet is very important to growth of educational system, especially at the tertiary level. That is why we have partnered with top brands in Nigeria to make this possible at no cost to the students. 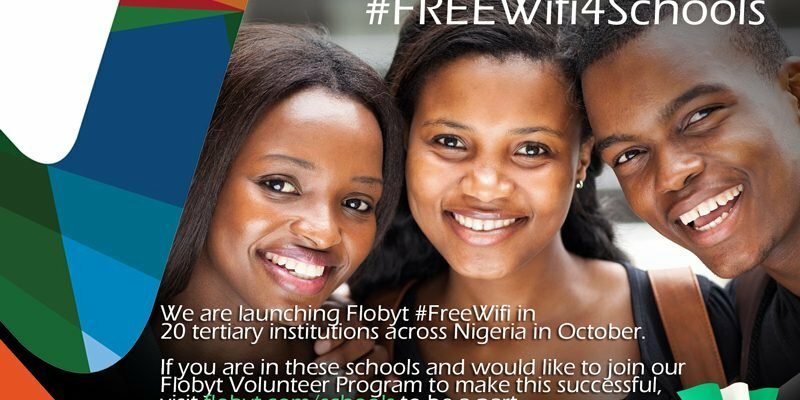 We are rolling out our #FREEWifi4Schools campaign with 20 tertiary institutions across Nigeria in October 2017. We have successfully done this in UNILAG and LASU. The students joined our Flobyt team to make this a huge success. And it is time to make it happen in your own school. If you believe you can be on our volunteer program, click here to be a part.